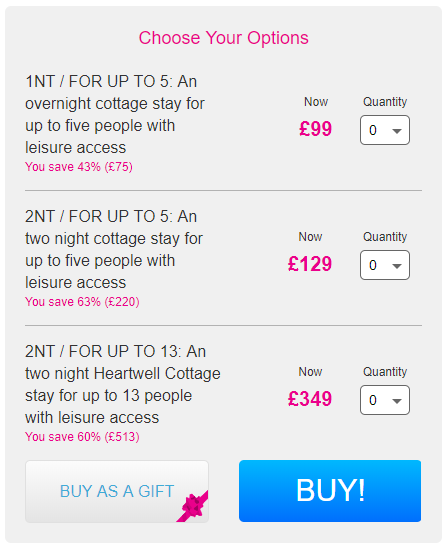 OMG -Round up your pals and get this sorted guys, not only is it super cheap but it’s super amazing as well…. 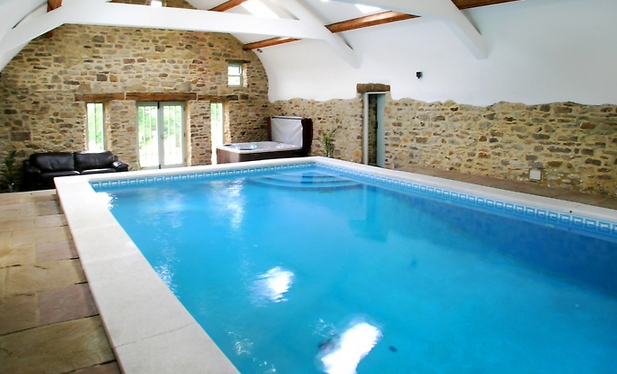 Hire this fantastic renovated farm house complete with swimming pool, hot tub and sauna for you and your friends or family and enjoy a couple of days relaxing and unwinded. There are various cottages available to choose from, a cottage that sleeps four, a cottage that sleeps 5 and a cottage that will sleep up to 13 people!! Where: The heart of the Durham Dales. What’s Included: A one or two night cottage stay for up to five people including leisure access and a box of chocolates on arrival, or upgrade to stay for two nights for up to 13 people! Cottage For Five: Their Raby and Brancepeth cottages boast en-suite facilities with three bedrooms. Cottage For 13: While their luxury Heartwell Cottage additionally includes a 65″ TV, leather sofas and 200 square meters of space! Area: Located just a stone’s throw from Tunstall Reservoir and Hamsterley Forest. 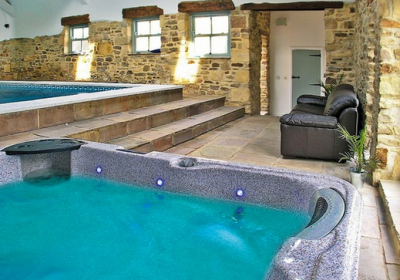 Deal Bonus: Indulge with private hot tub hire for just £50 per booking! Pick yourself up with a luxurious mini-break in a picturesque cottage! You and up to four friends will be staying in one of the gorgeous Bowlees Cottages, right in the heart of the Durham Dales. These delightful semi-detached cottages offer you rustic interiors and décor, with the luxury of a classy retreat, including shared access to the farm’s pool, games room and hot tub. Your adorable cottage comes well equipped, with fully furnished kitchen, three bedrooms, living room with Freeview TV and a garden with patio and seating area, perfect for al fresco dining. You’ll be well rested before you venture out into the gorgeous countryside surrounding this retreat! Planning a hen do, gathering or family retreat? Treat your group and upgrade to a luxury stay for up to 13 people in the brand new Heartwell Cottage! Featuring a 65″ TV, leather sofas, 200 square meters of space, plus a private hot tub for celebrating the nights away, you’ll have a stay to remember! 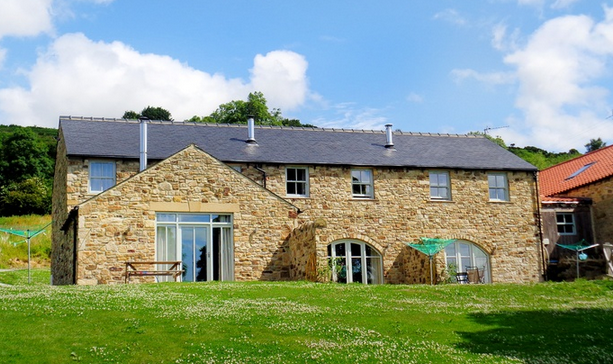 The cottages are even perfectly located to explore the beautiful Durham Dales, being a stone’s throw away from Tunstall Reservoir and Hamsterley Forest, with bike riding, horse riding, and gorgeous views. They’re also just a 30-minute drive away from the historic city of Durham, with its World Heritage site status, cathedral and castle. Why not take a day trip to view Hadrian’s Wall, or the Lake District? And when you’ve finished exploring, return to your gorgeous retreat and jump in the hot tub for the ultimate evening treat. Perfect! Is this available for 13 people any weekend in November ? Is there any course fishing anywhere near ? Hi I’d love to book for my birthday do you have any available weekends in November ? Hi I don’t suppose this includes xmas eve and xmas night does it , everything usually goes up ? It would be for 13 people in our family . Hi just want to know how much would it be just for a Saturday to have a 1 year old birthday party in July and have 2 adults and the child stay the weekend. Are their any dates available for2018 or has this offer expired? ?